Its Goodsubmitted by Morgan M. - Mar 01, 2018 |Recommended: YesIt's tucked away and to be living around so many individuals its actually fairly quiet. Ive been in worst situations. response from property - Mar 01, 2018 Thank you so much for taking the time out of your day to give your honest rating and review of your community, 700 Riverchase. We are so pleased to have neighbors that know they can express their open and honest opinion, because that opens up opportunities for us to grow more as a community for others to enjoy as well. So, again, Thank YOU! We hope to see you this Sunday at the Community Yard Sale!! Not only will Swamp Monster BBQ Truck be here selling food, but we just found out that Dreamcakes will be here as well!!! It will be from 12-5. Also, anything that you may not want to sell and want to donate, Hatching Hope of Alabama will also be here as well with tables for our Neighbors to use for the Community Sale!! Again, THANK YOU and we do hope to see you at the event Sunday after noon, 700 Riverchase Team Teamwork makes the Dream Work! response from property - Jan 30, 2018 Thank you very much for taking the time out of your day to give us a 5 star rating and very nice review. If there is anything you need, please let us know how we can continue to make 700 Riverchase a Great Place to live for you!! response from property - Jan 02, 2018 Thank you very much for the wonderful review and rating. 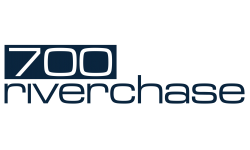 We are pleased to hear you find 700 Riverchase a Wonderful Place to call HOME! If there is anything we can do for you, please let us know. We are here for you! Happy New Year!! The new owners made good changes for the community. submitted by LaKicia B. - Dec 16, 2017 |Recommended: YesGreat school district. response from property - Dec 18, 2017 Thank you so much for your 4 star rating and review of the changes happening here at 700 Riverchase. We are very excited to year you are liking the changes so far, and cant wait to hear what you think of the upcoming changes as well. Thank you for being one of our valued neighbors!! The property is always clean and I feel fairly safe in or out of my apartment.submitted by Ava C. - Nov 27, 2017 |Recommended: YesIt is quiet and peaceful. response from property - Nov 29, 2017 Thank you for taking the time for the 4 star review and rating. If there is anything you need, please feel free to let us know in the office. We are here for our neighbors! response from property - Oct 31, 2018 Thank you for the review. Your apartment turned out very nice as one of our newest renovated apartment homes here! You were right, making the insides state of the art was just what the community needed. Along with the new fitness center, pool, gas grills, pool furniture, and now a new Pickle Ball Court and Giant Chess Set. Thank you for all your suggestions in your review, they really did make a difference. For the price, decentsubmitted by Sarah C. - Aug 31, 2017 |Recommended: NoMaintenance requests take entirely too long to complete. Also, I am not convinced that my requests were actually taken care of. I requested pest control and I am still having a problem with bugs. Also, the breezeways are starting to look like a haunted house, there are so many spiders and bugs roaming around. I know I live in a Terrace level, and a certain amount of bugs is to be expected, but I didn't realize I would need to maintain that area as well. The garbage compactor frequently looks like a dump. More consistent regulation of trash dumping would be nice. It just looks bad. The staff have always been super helpful, I am just not sure I will be renewing in the spring when my lease comes up. Quiet, progressing, comfortablesubmitted by Carlia M. - Aug 15, 2017 |Recommended: YesI would use the exact words I used to describe the property. response from property - Aug 18, 2017 Thank you for taking the time for the review and rating. We hope to continue to progress and we look forward to your referrals. 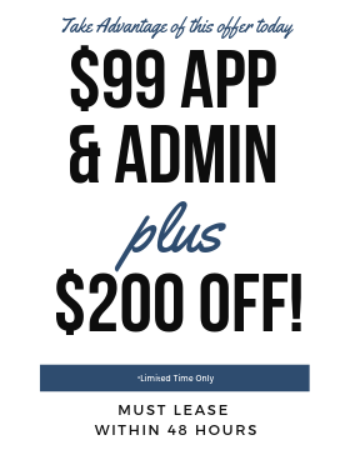 We surely don't want you to miss out on our resident referral program!! Just let us know what we can do to make things more comfortable for you, and we will do our very best to do what we can!! Review 7-29submitted by Peter L. - Jul 29, 2017 |Recommended: YesLove living hear. Bobby and maintenance are great. Decent, Affordable Apartmentsubmitted by Richard E. - Jul 01, 2017 |Recommended: YesIt is an older apartment whose construction, upon close inspection, reflects that fact. A little small for the price but the neighborhood is quiet yet close to everything.